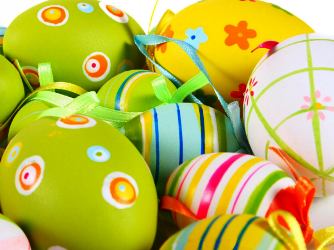 The staff at Gluten Free Eating Directory take this opportunity to wish you all a safe and Happy Easter. This month there's some great gluten free news featuring products, Easter goodies and decorating ideas, and the latest additions to our directory! Plus we're asking for your assistance... please email us about your favourite gluten free eating destinations. Bodega Underground - Melbourne, Vic. Activate Foods - Erina, NSW. The Chocolate Gallery & Cafe - Stanley,Tas. Mario's Italian Restaurant - Broadbeach. Qld. Mad Mex Central Station - Sydney, NSW. 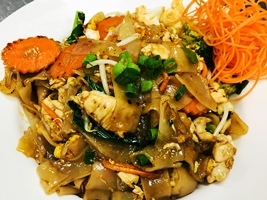 Dava Thai - Frankston, Vic. Dava Thai - Mornington, Vic. Jag Seafoods - Berry, NSW. Moat Bar & Restaurant - Melbourne, Vic. Bathurst Health Foods - Bathurst, NSW. 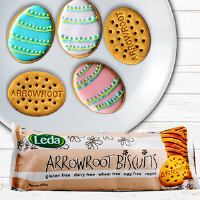 Leda's Arrowroot Biscuits are Perfect for Easter Decorating or Baking! Leda’s Arrowroot Biscuits are the essential accompaniment for your gluten and dairy-free Easter baking and celebrations - best of all, they are fun to decorate! Leda’s entire range is free from wheat, gluten, dairy and egg. For further information freecall on 1800 353 896 or visit www.ledanutrition.com or find us at facebook.com/ledanutrition. View the Leda Nutrition feature page here. 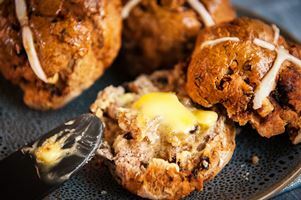 It’s almost Easter again, and up to our elbows in delicious Silly Yaks Hot Cross Buns! Available from our Factory Outlet Store (2 Mercier St, Coburg North, Victoria) and selected retailers across Australia. Visit www.sillyyaks.com.au/find-store to find your local stockist. View the Silly Yaks feature page here. Diego’s has added a NEW fresh gluten free wrap to their range, powered by ancient whole grains, black rice, blue corn and chia seeds. This new wrap is excellent for those who may be gluten intolerant and/or just love the health benefits that can add extra fuel to your body. 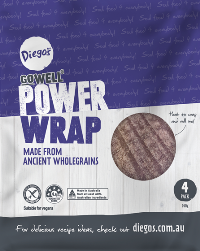 Feel the power of our new Diego’s Power Wrap! Available now in all good independent grocery stores, health food shops, and fruit & veg markets.View the Diego's feature page here. The expert bakers at Helga’s are excited to share an oh-so yummy recipe of gluten free loaves and rolls, endorsed by Coeliac Australia. This means you can enjoy mouth-watering sandwiches with big slices and a soft texture. The range includes Traditional White, 5 Seeds, Soy & Linseed, Traditional Wholemeal and Mixed Grain; and rolls in Traditional White and 5 Seeds. Available nationally at Coles, Woolworths and independent supermarkets. View the Helga's feature page here. 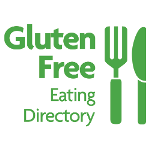 Gluten Free Eating Directory takes great pride in providing an up-to-date guide full of helpful gluten free information. It's what makes us tick! 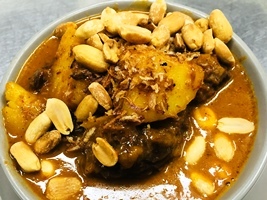 Over the holidays, find some fantastic eateries here, and go check them out! If you have any gluten free dining recommendations please send them to helpus@glutenfreeeatingdirectory.com.au We'd love to hear about them! Fnd and follow us on Facebook! We make regular posts to keep you up-to-date with what's happening in gluten free world. Copyright © 2019 Gluten Free Eating Directory, All rights reserved.